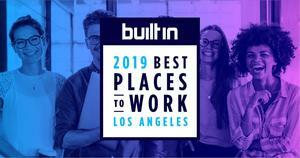 Edlio was recently named one of Built In LA's Best Places to Work in 2019. A revolutionary parent communication app, Sangha's "parents-first" mobile engagement platform perfectly fits into Edlio's customer-focused suite of services. Read about our recent acquisition of Scholantis, a Canadian educational technology software provider. Welcome to the Edlio family, Scholantis!